The person next door spends an average of $129 a month. On average, Kansans are paying $1,310 every month on homeownership costs. There are 1.3 million homes in the Sunflower State, 66% of which are occupied by owners. Kansas has a history of tornadoes that cause a lot of destruction. In fact, the state has an area called Tornado Alley where such occurrences are common. According to Insurance Information Institute (III), in 2017, Kansas was ranked 6th out of the 51 states in terms of tornado occurrences, totaling 74 tornadoes in the same year. The destruction has been minimized with a lot of precautions, but each passing disaster still causes millions of dollars of loss to homeowners and insurers alike. This is not the only disaster hitting the state, with wildfire wreaking havoc in many areas throughout Kansas. According to III, in 2017 there were 71 wildfire occurrences in Kansas burning through 476,306 acres of land. For this reason, the home insurance rates have spiked high in almost all areas of the state. Thus, it is crucial to get a good deal to avoid overspending and getting coverage from a defaulting company. It is advised that you find different companies offering home insurance in your area and compare the premium rates and other parameters before settling for an insurer. Our free comparison tool will help you with this seemingly tedious task by providing you with a list of insurers in your area in one click. The average annual home insurance premium a homeowner pays in Kansas is $1,548 (or $129/month). On the other hand, the average annual insurance a homeowner pays in the US is $1,192 (or $99/month), which makes Kansas a considerably pricier area with a $356 higher annual rate than the national average. These numbers are based on III’s 2016 data (latest available) which ranked Kansas as the 5th most expensive state in terms of home insurance premiums. State and national averages are helpful to keep in mind although your own quote may fall below or above these numbers based on the insurer and where you are located. For example, if you live in an area where there is a relatively low risk of natural disasters based on recorded history and statistics, your quote may be lower than your neighbor’s, who live in the same area but has a much older house or has other conditions that the insurer deems high-risk. That’s why these average numbers, especially Kansas’, is meant to serve as a guide. If your quote falls way above the average, look into your own conditions and find out what’s causing the high premiums. If you still can’t figure it out, talk with an agent or shop around some more. Homeowners insurance is clearly a necessity in Kansas. The intense weather conditions make it so that you absolutely need proper protection in place for your dwelling. Despite the amount of risk involved, insurance companies do not shy away from Kansas. Thus, we have done the research to determine reliable homeowners insurance companies so that you can find the coverage you need. The companies in the region mostly work at a national level, so their financial strength is not the biggest concern. Beyond that, each one has its own ups and downs. We will be listing our top picks, judging them based on their policies, coverage options, claims handling, prices, discounts, endorsements, customer support and reviews. We are not able to review all of the home insurers in-state. It’s important to still do your own research as a company not mentioned in this article may very well be more suited for you and your individual case. State Farm bags the highest market share in the state with its great customer service and policies. It was established in 1921 to provide automobile insurance and quickly rose to become the largest provider in the country. It offers discounts for implementing security systems, fire alarms and impact resistance, which is a good incentive considering the weather situation in Kansas. However, its prices are not the best, a category in which Liberty Mutual and Farmers fare better. Its website is a major plus, which contains informative content about protecting your home against the weather in Kansas. It also offers a tool on the website which lets you manage your coverage options. You can get details on every coverage your policy offers, and you can also file a claim directly from the tool in case of an emergency. This saves the effort of contacting a claims hotline. Among the helpful features offered by State Farm is the well-thought-out online support it provides to customers. Not only does its website provide a wide number of helpful articles and infographics, but it also provides an online quote tool, which allows you to update your coverage and see how your premium is affected. If you have fitted your house with alarm systems, sprinklers, and even a new roof, you become eligible for discounts. Considering how expensive insurance in Kansas is, this is an important consideration. Customer support and financial stability are State Farm’s strongest areas. As a result of this, you will find that it can handle claims in an efficient and timely manner. In the event you need guidance, it is prepared to provide that as well. It was rated 3 (About average) out of 5 Power Circle Ratings by JD Power in their 2018 U.S. Home Insurance Study, for overall consumer satisfaction with regards to policy offerings, price, billing process and policy information, interaction and claims. AM Best rated State Farm with an A++ (Superior), which reflects the company’s financial strength. Consumer Reports also rated State Farm favorably for its claims handling and response time. American Family is the second largest provider of homeowners insurance in Kansas. Its market share is at 15.2 percent. It has received positive ratings from reputable agencies, which indicates the high quality of its services. AM Best has rated it with an A (Excellent), while JD Power rates it with 813/1000 or 3 (About average) out of 5 Power Circles Rating. The rates offered by American Family are extremely affordable and it also offers a wide number of discounts. Some of these include bundling different policies (combining home insurance with life insurance, for example), being a new customer, being retired and over the age of 50, installing home security and fire protection devices, and even having an impact-resistant roof. The standard policies at American Family provide reliable coverage against fires, windstorms, hail, lightning, vandalism, smoke, and theft. You can further build onto this coverage by opting for add-ons. 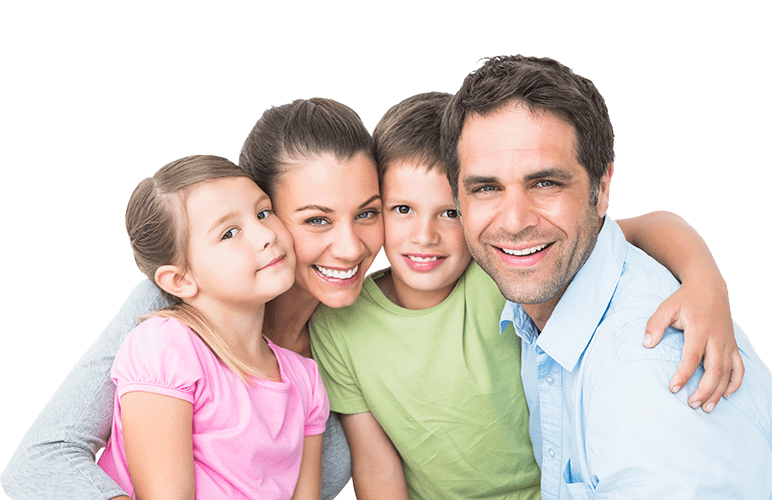 Optional add-ons from American Family include identity theft coverage, personal property replacement, personal injury, and liability protection. It will also considerably lower your rates if you have been claim-free for 6 years and a loyal customer for 5 years. The third most popular homeowners insurance firm in Kansas is Farm Bureau with a market share of 8.3 percent. It is a locally based company, which means that it will have a clear idea of the kind of coverage residents will need. Some of the larger firms in the state might offer policies which are too general, but Farm Bureau offers policies which take into account the biggest concerns in the state. Farm Bureau provides customers with a guaranteed replacement cost coverage. This means that they will reimburse you up to 125 percent of the insured value of your home. In the event of a weather-related hazard such as a wildfire, this can be extremely helpful in making up for your losses. Farm Bureau also offers a Members Choice policy, which combines your home and auto insurance into one policy. The benefit of this is that you only pay one premium and one deductible on all insured belongings. This firm also offers actual cash value coverage which means that it will cover your losses up till the actual value of your property. It also offers residential equipment breakdown coverage, which provides protection for devices which are not typically covered under standard home insurance. Farmers offers the most versatile coverage options among the better insurance companies in KS. It started in 1928 as an auto insurer to provide lower premium rates for farmers, hence the name. It provides a lot of different discounts such as special group discounts for military. In terms of customer satisfaction, it was rated an “About average” by JD Power. It provides customers with excellent tools such as a clickable house, which you can click on various common household items and get information on the coverages Farmers provide for them. Its policies have many add-ons with the standard home insurance such as claim forgiveness which removes surcharge if you do not file a claim for 6+ years, identity shield which provides coverage for legal fees and document replacements in case of identity theft, and a great eco-rebuild program which provides coverage for up to $25,000 if you implement green projects in your home. Its standard prices are higher than other companies, but the additional coverage add-ons make up for it. You also have the freedom to opt for three different policies, standard, enhanced and premier, with each having its own features. Liberty Mutual was established in 1912 as an employees association, which provided workers’ compensation insurance and soon started providing auto insurance as well. While not as big as State Farm, it excels in other areas such as customer support and claims handling. The most prominent thing about it is its consistently low complaint ratio of 0.25, as reported by the Kansas Insurance Department. This makes it the least complained about insurance company not only for home insurance but for general insurance as well. Liberty Mutual provides the standard home insurance package with additional coverage options such as valuables coverage for technical gadgets and jewelry, inflation protection to adjust your premium rate for inflation at the end of your term through a discount, and a home protection coverage which covers unseen costs in rebuilding your home. AM Best gave it a rating of A, which equates “Excellent” in terms of financial strength. With an “About average” evaluation for overall customer satisfaction from JD Power, the company has a satisfactory record in terms of customers being happy with their experience with Liberty. Liberty’s website is very supportive and guides visitors through all of the company’s policies and prices. The prices on the website are accurate and you get the same prices from agents, which is not always the case in other insurance companies. If you are a homeowner in Kansas and live near tornado-prone areas, it is important for you to consider homeowners insurance. In fact, experts believe that this is the only reason to file a claim, for high costs due to disastrous events. Filing small claims should really be considered carefully as it may not be worth it in the end because your premiums will most likely go up (a lot) when you file a claim. Homeowners insurance can be expensive, but there are ways to cut costs. First, shop around for pricing using the internet or recommendations from friends. We have a free comparison tool that will help you get started. The National Association of Insurance Commissioners (NAIC) has resources for finding an insurer in every state. Raising your deductible, which is the amount of money you pay for a loss before your insurer chips in, can cut costs too. A good credit rating history can also reduce homeowners insurance rates. Remember to separate home purchase and rebuilding costs, as the land beneath your home is not at risk from natural disasters, fire, and theft. If you own a car, purchasing home insurance from the same company can save 5 to 15 percent on your premium. Staying with the same company for several years can quality you for discounts too. Disaster-proofing your home by adding storm shutters, fortifying the roof, and retrofitting older homes, can reduce Kansas home insurance costs. Some insurers deduct up to 5 percent for a smoke detector, security alarm, or dead-bolt locks. You may even get a premium deduction of 15 to 20 percent by installing a sprinkler system or a burglar alarm that connects to the local police or fire station. Other discounts may apply for those over age 55 and retirees. 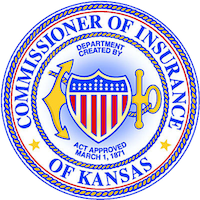 In Kansas, a town's fire protection rating can affect homeowner insurance rates. A town with a score of 1 has the highest protection level, while a town with the score of 10 has the lowest. Homeowner insurance premium rates are highest in towns with a class protection of 9 or 10 and located in a rural setting. You may very well end up paying less for living proximately to a hydrant or by living in a town with a professional (not volunteer) fire department. Reviewing and removing unnecessary coverage costs can lower insurance costs too. The Sunflower State has some of the highest home insurance premiums in the country. At the same time, due to severe weather hazards, it is of utmost importance to secure a proper homeowners insurance policy. In order to prevent any untoward incidents between the company and the customer, Kansas has implemented regulations dubbed ‘Unfair Methods of Competition or Unfair and Deceptive Acts or Practices.’ These are meant to hold insurance companies accountable and look out for customers. When comparing plans, you can ask several questions to determine if the plan is suitable for your needs and budget, such as: How much would you save if you increase your deductible? Is the coverage replacement cost or cash value? Does it include water damage or sewer back-up? Will it cover important personal items such as jewelry, antiques, or collectibles? Are any special coverages available? What proof will you need to show in the event of a loss? Lastly, ask if there is anything the insurance policy will not cover.